British composer Ruth Gipps (1921-1999; see 21 December 2012) makes a long overdue reappearance in these pages with this recent Chandos release. A piano prodigy, she studied at the Royal College of Music, then Durham University, and could count Ralph Vaughan Williams (1872-1958; see 16 December 2013) as well as Gordon Jacob (1895-1984; see 28 February 2018) among her instructors. She'd subsequently become an accomplished pianist, oboist, conductor and composer. "Wid", as she was known to her friends, would leave a substantial oeuvre, which includes five symphonies. Two of them appear here along with a couple of her shorter, orchestral pieces. They're the only versions of these four works currently available on disc. Three are world premiere recordings, and accordingly marked "WPR". First on the program, her four-movement, Fourth Symphony of 1972 (WPR). This is dedicated to Sir Arthur Bliss (1891-1975; see 7 October 2011), many of whose works she'd conducted, and gets underway with a sonata-rondo-like movement [T-1]. It has an initial, swaying, "Moderato" ("Moderate") idea (MS) [00:03] somewhat reminiscent of "Venus, the Bringer of Peace" in Gustav Holst's (1874-1934) The Planets (1914-6). SM is followed by a fugato-introduced, busy, "Allegro molto" ("Very fast"), theme (BA) [01:54], which transitions into a rhapsodic treatment of SM [03:22]. This waxes and wanes into wistful memories of SM [04:57] with heavenly harp embellishments, and brings back an even more agitated BA [06:06]. Then the latter falls away into a nostalgic reminder of SM [07:17], succeeded by a frenetic, BA-based coda [08:33]. Here pounding timpani [08:59] and a great swat on the tam-tam [09:09] conjure up a gloomy reminder of SM [09:21] that ends the movement despondently. Next, an "Adagio" ("Slow") [T-2] that opens [00:00] with dreamy harp glissandi and a plaintive, piquant tune (PP) [00:02] for the English horn, which along with the oboe was the composer's pet instrument. PP then engenders several instrumental solos of varying, romantic temperament. These surround a dreamy, undulating episode [04:14-05:19], and close the movement much the same way it started. Then Gipps gives us a refreshing, rustic scherzo [T-3] with delicate, shimmering outer sections [00:00 & 02:37] based on a folksy, horn-embellished dance ditty (FD). They surround an FD-related, pastoral trio [01:15-02:36], and end the movement full circle. The theme-and-variations "Finale" [T-4] begins "Andante" ("Slow") with sighing strings [00:00] and the oboe playing a melancholy main subject (MM) [00:03]. It's repeated by several other instruments and gives way to a dozen, MM-based episodes of different demeanor. The first six are respectively flighty [02:08], childlike [03:11], scurrying [04:03], expansive [04:33], tintinnabular [05:16] and frenetic [05:42]. These are followed by five of hymnlike [06:08], martial [06:53], commanding [07:45], retiring [08:14] and celestial [08:49] persuasion. Then there's an excited, twelfth [09:42] that brings the symphony to a dramatic, timpani-reinforced conclusion. Jumping back some thirty years we get one of Ruth's earliest orchestral works, the ten-minute, tone poem "Knight in Armour" (1940; WPR) [T-5]. 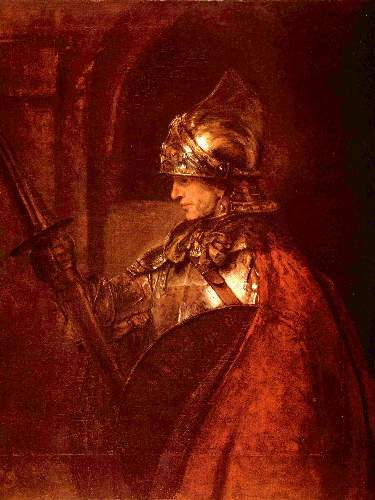 In her preface to the score, she tells us it's based on Rembrandt's famous painting known as "The Young Warrior" (1655). What's more, she apparently associates the portrait's subject with Sir Lancelot of Arthurian legend (12-15th century). The work opens with a valiant, five-note, timpani-underlined motif (VF) played by the brass [00:00], which seemingly represents this gallant Knight of the Round Table. It initiates and pervades subsequent heroic passages, presumably characterizing his many triumphant deeds. Then the music ebbs [beginning at 01:31] into a subdued, romantic duet for cor anglais (English horn) and oboe (CO) [02:30-03:35] that we're told signifies Lancelot’s love for Arthur's wife, Queen Guinevere. A heroic, VF-laced episode soon follows [03:44], but wanes with another CO segment along the way [04:46-05:09] into a sad reminder of VF [05:15], followed by a pause. Then there's a VF-spiced, nostalgic bridge [05:36] into a comely, romantic episode [07:07], which ostensibly, again represents his love for Guinevere. However, the mood darkens with VF-derived, funereal passages [08:33]. These are presumably indicative of his demise and close this symphonic picture with dying remnants of VF. Moving right along we get the composer's Second Symphony of 1945. This was written in response to a competition sponsored by a British newspaper for a "Victory Symphony" to commemorate the end of World War II (WWII, 1939-45) in Europe. While "Wid" didn't win -- colleague Bernard Stevens (1916-1983) got first prize with his Symphony of Liberation (1941-5) -- her entry is a significant addition to the body of late-romantic, English symphonies. What's more, structurally speaking, it's a unique, Gipps creation in a single, twenty-minute span comprised of eight, conjoined sections. Generally speaking, the work might best be described as a theme and transformations with a superstructure, recalling a conventional, four-movement symphony. That said, the initial three sections comprise the opening movement, the first of which [T-6] is a flowing, expansive introduction reminiscent of more sweeping moments in Vaughan Williams' earlier symphonies (Nos. 1-5, 1903-43). It hints at the main theme, which soon appears in the adjoining, second section [T-7]. This is a casual, folksy tune (CF) [00:02] that's dramatically developed. Then after a brief pause, there's a cantilena-like transformation of it (CC) played by our old friend from above, the cor anglais (English horn) [02:26]. CC undergoes a loving exploration [03:05], which flows into the third section [T-8] that closes this "first movement" with a CF-based, pastoral rhapsody [00:03]. Then there's a change of mood with the fourth section [T-9], which is a martial-sounding scherzo based on a CF-derived march [00:01] and equates to the "second movement". This undoubtedly reflects the work's WWII associations, as does the fifth section [T-10] that's marked "Adagio" ("Slow") and constitutes the Symphony's "third movement". Here we get a moving, elegiac reworking of CF with a dying reference to CC [02:32], presumably honoring those fallen in battle. But spirits brighten at the outset of the sixth section [T-11], which ostensibly begins the final "fourth movement". This starts with a frolicsome version of CF [00:02] that melds into a tranquil, episode, having church-bell-like chimes [01:54 & 02:04] and a reminder of CC [beginning at 01:55]. The latter is immediately followed by the seventh [T-12], which opens with hushed timpani taps [00:00]. They preface some melancholy moments [00:02] succeeded by a CF-reminiscent, valiant march [00:37] that comes to a glorious climax. But there’s more to come, and after a dramatic pause, heroic brass passages [01:32] herald the closing, eighth section [T-13]. It opens with a CF-derived, charging idea [00:01], which becomes increasingly intense with stirring memories of past transformations. Then triumphant strings, blazing brass and pounding drums [01:28] bring the symphony to a glorious conclusion. Filling out this release, there's a short, ternary work titled Song for Orchestra, dating from 1948 (WPR) [T-14] with a couple of substantial oboe solos. These made it an ideal showpiece for Gipps. Moreover, the music opens with soft strings and that most piquant of woodwinds singing a pastoral, contemplative tune (PC) [00:01]. PC is explored, and then some grumpy brass [03:01] introduce an animated reworking of PC, which gets underway with a ligneous-sounding, bass clarinet [03:19]. This slows into an empyrean recap of the opening measures that ends the piece and CD with a somber, hushed sigh. Last year British conductor Rumon Gamba and the BBC National Orchestra of Wales (NOW) gave us a treasure trove of long-forgotten, British rarities (see 30 April 2017). Now they keep the goodies coming with these magnificent performances of some works by a lady composer, deserving much wider attention. 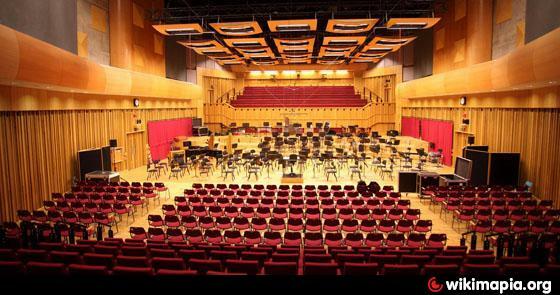 The recordings were made last February in association with the BBC and NOW at BBC Hoddinott Hall, Cardiff, Wales. They project a wide, somewhat distant sonic image in reverberant surroundings. The instrumental timbre is characterized by shrill highs, particularly in massed violin passages, a fulgent midrange, and clean bass that goes down to rock bottom. It's too bad this wasn't a hybrid album as the upper end would have probably sounded more lifelike on the SACD tracks. Those having tone and/or equalization controls may want to tweak them accordingly. In the past, we've championed Pierre Rode's (1774-1830) little-known violin concertos (see 31 July 2018). And now, Gramola gives us a couple of additional, coeval rarities in this, their third volume devoted to music by Austrian violinist-composer Joseph Mayseder (1789-1863). Little Joey started playing the violin at age eight, and by ten, he was making public appearances. Then just two years later, Mayseder began composing, and would leave a modest ouevre. This includes some chamber pieces, as well as numerous, virtuoso works for his instrument, six of which are full-blown concertos. Only three of the latter were ever published, and two of these along with a shorter concertino fill out this release. They're the only recordings of them currently available on disc. Incidentally, the concertos are numbered “1” and “3” as per their publication dates, which is misleading, because they were written in 1813 and 1811 respectively. Both are in three movements, and the “First” Concerto’s opening "Allegro" ("Fast") [T-1] begins with a proud, martial theme (PM) for the orchestra [00:00]. PM is then picked up by the violin [01:34], which goes on to play a songlike idea (PS) [02:29] and subsequent playful tune (PP) [03:28]. After that there’s a march-like bridge for the tutti [04:00] into a virtuosic development [beginning at 04:38], where the soloist holds forth to a supportive accompaniment. Then a romanticized recap of PS [06:22], and bravura, PP-based segment [07:09] with some last-minute, fancy fiddling [07:41] end the movement summarily. The middle “Andante” (“Flowing”) [T-2] is in ternary form and begins with the orchestra hinting at a PS-like, lilting melody (PL) soon played by the violin [00:33]. The soloist follows this with a whimsical ditty [01:58], after which the tutti launch into a central, PL-based, fugal episode [02:53]. Then the opening measures return with decorative, violin passages plus heroic, horn calls [beginning at 04:53] that conclude the movement wistfully. A rollicking, virtuosic rondo marked "Allegro vivace" ("Lively and vivacious") [T-3] is next and opens with soloist plus tutti playing a PM-reminiscent, cocky idea (PC) [00:00]. Subsequently, PC returns in four different guises, which range from searching [01:21] to serenade-like [02:08], whimsical [02:58] and festively folkish [04:25]. Then PC resurfaces [05:17], engendering a PS-reminiscent, nostalgic episode [06:40] and agitated follow-on [07:43]. Here there are some final fiddle fireworks [08:18] that bring the Concerto to a dramatic, stern conclusion. Moving back to 1811, we get the “Third” Concerto, whose beginning, sonata form "Allegro" [T-4] has an orchestral opening statement, starting with a sprightly, angular melody (SA) [00:00]. Then there's a casual countersubject (SC) [01:22], after which the violin enters, playing SA [01:57] and SC [03:13 & 04:10]. A tuneful development follows [04:34] with abundant virtuosic decorations, leading to a triumphant version of SC played by the tutti [05:25]. Then the latter makes a dark bridge [05:51] into an SC-SA based, melancholy episode for the violin along with a supportive tutti [06:08]. This becomes increasingly anxious, but suddenly gives way to a skittering rendition of SA for the soloist [07:59] and excited orchestral passages [08:44]. These are succeeded by everyone recapping the opening measures [09:16] with bravura, violin flourishes and tuneful wisps of SC [10:18 & 11:16]. Then there's some fancy fiddling [beginning at 11:34], followed by excited moments for all [12:21] that end the movement with glorious reminders of SA [12:42]. The middle "Adagio" ("Slowly") [T-5] begins with a somber orchestral idea [00:01], and the soloist playing an SC-derived yearning theme [00:27]. The two are the basis for a heartfelt meditation, which is completely offset by a capricious, concluding rondo. Marked "Allegro vivace" [T-6], it starts with a jolly, jumpy ditty for all [00:00]. This is explored with some violin pronouncements that engender a merry, dancelike episode (MD) [02:30]. Then the opening measures are revisited [04:44], giving way to a yearning segment [06:03] and the return of MD [08:04]. The latter is followed by some antic passages for the soloist [08:50], after which the work comes to a smiling conclusion. This release is filled out with the Second of Joseph's Concertinos for violin and orchestra, which came some fourteen years later (1935). In one movement [T-7], it opens with a lovely, sighing melody (LS) for the tutti [00:00] that's picked up by the soloist [00:32]. Then there's an anticipatory pause, after which the orchestra intones severe passages [03:14] based on a march-like idea [03:30]. The violin joins the parade, descanting a proud theme [04:41] that parents a rhapsodic episode with a reminder of LS [06:31] and some showy passagework. Then a jubilant tutti outburst [08:17] triggers a segment, where the violin delivers an impassioned speech [08:49], which receives continuous, underlying approval from the orchestra. All this is followed by some developmental interplay between the two, and then the soloist returns with LS [10:49], initiating a nostalgic segment having some virtuosic flourishes. These conjure up a rousing conclusion [12:32] with recollections of LS [12:53] that bridge into an antsy coda [13:33]. This brings the Concertino to a thrilling finish with excited flashes of LS [14:13]. Viennese violinist Raimund Lissy along with the Joseph Mayseder Orchestra under Austrian conductor Helmut Zehetner deliver lively, committed performances of these rarities. They make a strong case for Joseph's music, leaving one anxious to hear the remaining concertos and other, shorter, violin concertante works by this unjustly neglected composer. 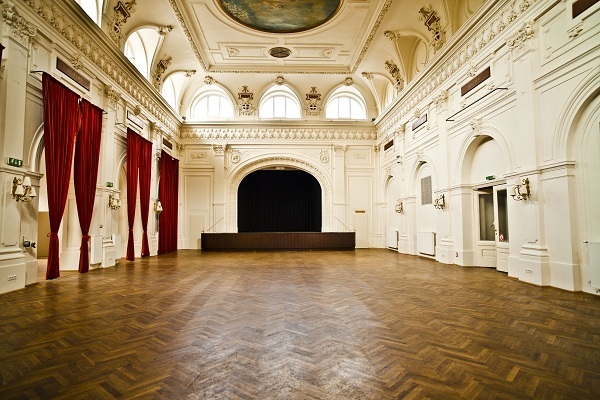 The recordings were made over a four-day period at the historic Casino Baumgarten recording studio in Vienna, and project a generous soundstage in a warm, acceptably reverberant venue. Placed slightly left of center, Herr Lissy's violin, is well captured and balanced against the orchestra. The instrumental timbre is characterized by pleasant highs, a well-focused, lifelike midrange and clean bass. In regard to the low end, it would seem Maestro Zehetner must have been on one of those timpanic podiums as there are sporadic, faint, seismic thumps presumably occasioned by his more active moments. Those with sound systems that go down to rock bottom may find these somewhat disconcerting, but for the most part, Gramola gives us a demonstration quality disc. These days Sir Charles Hubert Hastings Parry (1848-1918) is probably best remembered as a distinguished teacher and head of the Royal College of Music, London, from 1895 to 1918. In that regard, he could count Ralph Vaughan Williams (1872-1958; see 30 April 2017), Gustav Holst (1874-1934; see 23 January 2015), Frank Bridge (1879-1941) and John Ireland (1879-1982; see 30 April 2016) among his students. He'd also leave a large body of works across all genres, a number of which in the choral category have stood the test of time (see 28 November 2012). However, many others have undeservedly long since been forgotten. These include three numbered String Quartets as well as a similarly scored, isolated Scherzo, all of which appear on this new, two-disc album from MPR (Mike Purton Recording Services). While the First Quartet is played as originally written, the other selections are presented in newly edited versions done by musicologist, Professor Jeremy Dibble (see 23 January 2015). They’re the only recordings of them readily available on disc. The first two Quartets date from the later 1860s, when Hubert was a student at Exeter College, Oxford, England. His initial effort of 1867 is in three movements and begins "Allegro con fuoco" ("Fast with fire") [D-1, T-1], with a capricious, flighty, opening ditty (CF) [00:03] that owes a debt to Felix Mendelssohn (1809-1847). It's followed by a yearning, angular melody (YA) [00:40] of Robert Schumann (1810-1856) persuasion, and then all of the foregoing is repeated [01:23]. After that, there's a YA-initiated, vibrant development [02:41] and subsequent recapitulation [03:53]. CF briefly surfaces in the latter [04:37], triggering a frenetic, closing coda [05:13] that ends the movement excitedly. Next up, an "Andante" ("Slow") passacaglia [D-1, T-2], which opens with a laid-back hymnlike, ostinato melody (LH) [00:01] that makes seven, closely related reappearances [beginning at 00:37]. These are followed by a brief developmental episode [04:58], and then LH returns [06:35], ending the movement full circle. The final "Allegro vivace" ("Fast and spirited") is a sonata-rondo [D-1, T-3] that gets underway with a couple of themes. The first is a jolly, chortling number (JC) [00:01], while the second takes the form of a related, songlike idea (JS) [00:39]. These play tag with each other, after which, they fuel an antsy development [03:12]. Then there's a big tune amalgamation of JC and JS [04:46], followed by a JS-JC-based coda [05:43] that brings the Quartet to a merry finish. Turning to the Second of 1868, Parry gives us a four-movement work. The starting one was apparently written as a love letter to a childhood sweetheart, whom he'd marry some four years later. It’s in sonata form and begins "Larghetto" ("Rather slow") [D-1, T-4] with a brief, amative introduction (AI) [00:01], hinting at thematic material soon to come. AI is succeeded by a pause, and an "Allegro di molto" ("Very fast") opening statement, containing two ideas that are respectively elated (E1) [01:28] and tender (T2) [02:08]. These are repeated [03:12], subjected to a passionate development [04:53] and recapped [06:30]. Then there's a T2-E1-related, coda [07:17], which brings the movement to an impassioned conclusion with a final hint of AI [08:08]. The subsequent "Andante espressivo" ("Expressively flowing") [D-1, T-5] is as advertised, and features a sublime, passionate melody [00:01]. This seemingly mirrors Parry's feelings for his inamorata. The composer precludes the foregoing from turning the Quartet into a romantic wallow with two lively, concluding movements. The first of these is a scherzo marked "Allegro con brio" ("Lively with spirit") [D-1, T-6] that has perky, outer sections [00:01 & 02:16], surrounding a small, subdued trio [01:20]. This sets the stage for the rondoesque,"Vivace" ("Vivacious") finale [D-1, T-7], which gets off to a scurrying start with an E1-reminiscent, busy theme (EB) [00:01]. EB is followed by a T2-suggestive, smiling tune (TS) [00:54], and the foregoing is repeated [01:47]. Then there's a TS-derived, anxious episode [03:44] that bridges into the return of TS [05:11]. The latter engenders some related, last thoughts, and a sprightly coda [06:50], which closes the work with a mulish, heehawing cadence [06:59]. Not long after he wrote the preceding, Parry took a job as an insurance underwriter with Lloyd's of London (1870-7). Consequently, he had little time for music and wouldn't start on his final Third Quartet until 1878. It was finished in 1879 and is again in four movements like its predecessor. However, this is a longer, more progressive work that reflects the influence of Brahms (1833-1897), whom Sir Hubert greatly admired. On that note, back in the early 1870s, he'd tried to take private lessons with him in Vienna, but to no avail as the great German master was somewhat of a curmudgeon and had little time for aspiring students. The initial "Allegro" ("Fast") [D-2, T-1] has an antsy preface (AP) [00:03], followed by a cocky motif (CM) [00:25] and reserved, reverent idea (RR) [00:39]. The latter is vaguely reminiscent of the melody for that hymn known as "The Old 100th" that’s attributed to French composer Louis Bourgeois (c. 1510 - 1559). Incidentally, Sir Hubert's student Ralph Vaughan Williams (see above) would do a setting of this for Queen Elizabeth II's coronation in 1953. RR is explored, giving way to a couple of chromatically spiced, developmental episodes [02:33 & 03:24], the first having a four-note riff (FR) [02:58] like the one opening Beethoven's (1770-1827) Fate Symphony (No. 5, 1807-8). Then there are contemplative reminiscences of RR [05:17] and an FR-based transition [beginning at 07:28] into an CM-derived, undulating coda [08:25]. This brings the movement to an affable, seesaw ending [08:43]. Next, an "Andante" ("Slow") [D-2, T-2] that was reputedly a favorite with audiences of Parry's time (see Professor Dibble's informative album notes). It has delicate passages [beginning at 00:00], conjuring images of some itinerant troubadour singing an amative ballad to a strummed, guitar accompaniment. These are interrupted by troubled ones [01:24 & 03:35], but love triumphs, and the music ends with amorous, last thoughts. Apparently, at one point the composer used the expression "death's head" to describe the "Allegro molto" ("Very fast") scherzo [D-2, T-3]. This may have been related to the "Totenkopf" ("Dead's head") insignia, which was then associated with the German military. Keeping that in mind, the music features demonic, dotted-rhythm segments [00:01 & 04:16] that alternate with devilish, pizzicato-spiced, waltzlike ones (PW) [02:06 & 05:59]. And concluding the Quartet, there's a sonata-rondo marked "Allegro moderato" ("Moderately fast") [D-2, T-4]. It opens with a charming, graceful idea (CG) [00:01], which is immediately manipulated, and succeeded by hints of PW. These parent a gentle tune (PG) [01:45], which engenders a plucky development [01:56]. After that, CG reappears [03:00] and via a descending sequence [03:25], launches a more dramatic, second one, having wisps of ideas from preceding movements [beginning at 03:39]. Then PG pops up [05:28], initiating a chromatically adventurous third [05:43]. After that, CG is the basis for fugato-introduced passages [07:56] with pizzicato spicing [08:02]. These give way to a romanticized version of PG [08:17], which ends the work passionately. The score for the undated "Scherzo in C major" has occasional blank spots in the instrumental parts. However, Professor Dibble (see above) has realized these, giving us the reconstruction that fills out this album [D-2, T-5]. It's a real teaser for what might have been yet another Parry quartet. This tidbit begins with a dazzling, mercurial thematic nexus (DM) [00:01] based on a couple of ebullient ideas, which hint at a winsome, warm segment that soon appears (WW) [01:31]. Then DM resumes [02:57] with a nostalgic reminder of WW [04:21], and triggers a final coda [04:33] that ends the piece in jolly fashion. Founded in 1990, the critically acclaimed, British-based Archaeus Quartet is renowned for championing rarely heard, quality, 20th and 21st century works. In that regard, their name seemingly reflects the animate aspects of the Archeus principle. They certainly succeed with this release, delivering superb performances, which give new life to some music long overdue for revival. 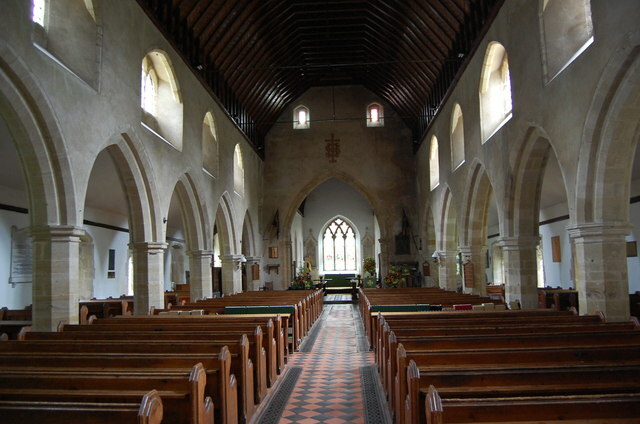 Made over a three-day period last winter at St. Mary the Virgin Church located in Salehurst, some 60 miles south-southeast of London, these recordings project a consistently narrow soundstage in a marginally dry acoustic. The performers are appropriately balanced against one another. However, they'd have been better captured with some additional space between them, thereby giving the music more room to breathe. As miked here, the AQ's string tone is characterized by steely highs, but a pleasant midrange. As for the bass, it's clean except for a hint of bloom in the cello's lower registers. Everything considered, this album gives us serviceable recordings of some wonderful music, but falls somewhat short of an audiophile rating. In that regard, pointy-eared listeners will detect a pertussal moment [D-1, T-4, 06:37] that escaped the editor's knife. Six years ago, Toccata issued a wonderful CD with some of Russian composer Vissario Shebalin's (1902-1963) orchestral music (see 21 December 2012). Now they follow up with all five of his works for violin and piano, the main one being his Sonata of 1957-8. This release also includes an earlier Suite for Solo Violin, and except for the Sonata, these are the only recordings of them currently available on disc. All six are tinged with Russian folk influences, and proceeding chronologically, the earliest is the Suite, which dates from 1933. In four, short, étude-like movements, it begins with a "Vivo" ("Lively") [T-12] study in double-stops and arpeggios based on a spastic opening theme (SO) [00:00]. Then there's a contrasting "Andante" ("Flowing") [T-13] that's a legato in one extended melodic line and attests to what a great tunesmith this composer was. The penultimate "Allegretto" ("Joyful") [T-14] is a jovial, angular exercise of Baroque persuasion and could be out of a J.S. Bach (1685-1750) violin sonata or partita (1720). Then a final "Presto possibile" ("Fast as possible") [T-15] fashioned from an SO-related, antic idea [00:00] ends the work full circle with some fiddle fireworks and a perfunctory, pizzicato plunk. A piano is wheeled in for the remaining five selections. Three of these were completed in 1946, the first of which is simply referred to as "Four Pieces". This is a set of independent character sketches, some apparently dating back to 1936, and starts with what’s called an "Improvisation" [T-1]. It has a cadenza-like, showy violin preface [00:00] followed by an anticipatory pause. Then both instruments deliver a wistful, introspective melody [01:00] that brings this segment to a mellow conclusion. After that, the pace quickens with a charming "Gavotte" [T-2], which harkens back to those dances that were so popular in 16-17th century, French courts. Subsequently there's "Remembrance" [T-3], which begins with a pensive thought for the violin [00:00], hinting at a comely, swaying tune (CS) that soon follows [00:33]. CS brackets a lively mazurka [01:44-02:57] and ends this segment as it began. Then the violin goes into virtuosic overdrive for the closing "Scherzo" [T-4]. It delivers skittering, spiccato-laced passages that bring this set of dazzling vignettes to a thrilling conclusion. The succeeding "Orientalia" (1946) is a three-part, dance suite, which makes more demands on both players. It opens with a "Moderato" ("Moderate") [T-5], double-stop-stuffed, swaying waltz, conjuring images of dancing, harem beauties. On the other hand, the succeeding "Andante assai" ("Very flowing") [T-6] is a Slavic-tinged romance sung by the violin to an adoring keyboard accompaniment. And then, it's on to Hungary for an "Allegro molto" ("Very fast") [T-7] czardas that brings this colorful confection to a whirling conclusion. Subsequently, there's yet another set of dances titled "Four Light Pieces" (1946). This begins with a charming "Minuet" [T-16], followed by a gently rocking "Berceuse" [T-17]. After that Shebalin gives us another "Minuet" [T-18] somewhat reminiscent of the first. He then ends the set with an endearing "Giga" [T-19], which has a classical, transparency, smacking of Mozart's (1756-1791) violin sonatas (1762-88). Moving along to 1952, we get a stand-alone, single movement work titled Concert Piece [T-20]. It has a cocky keyboard introduction [00:00] and subsequent headstrong, virtuosic tune (HV) [00:07] showcasing the violin. HV is repeated [00:24] and followed by a related, pining countersubject (HP) [00:48], after which both ideas are developed [01:11] and recapped [02:08]. Then there's a frantic coda [03:34] with scampering piano and violin passages that bring the work to a heady conclusion. The remaining selection on this disc is Vissarion's Violin Sonata of 1957. In four movements, the opening "Allegro" [T-8] starts with a jocund, folkish theme (JF) [00:00] followed by a related, songlike one (JS) [01:03]. These become the subjects of a captivating, developmental conversation [02:13]. Then an abridged, big-tune version of JF initiates a recap [04:40], in which JS soon surfaces [05:37]. It engenders a delightful rhapsodic episode that ends the movement with a coda of satisfaction [06:46]. The succeeding "Non troppo vivo" ("Not too fast") scherzo [T-9] has whimsical outer sections with reflective moments. They surround a JF-reminiscent, rustic, folkish trio [01:11-03:17], and conclude the movement in the same spirit it began. A subsequent, contrasting "Andante" ("Flowing") [T-10] is a ternary, A-B-A offering, where the "A"s are built on a JF-related, confident melody (JC) [00:04]. They embrace an agitated "B" [02:02-02:18] based on fragments of JC, and bring the music full circle with some last-minute, celestial violin harmonics [04:11] and a sighing piano. The final “Allegro” (“Fast”) [T-11] is a reworking of the earlier Concert Piece (1952; see above), where the two sound very much alike. Consequently, there’s no need for any additional commentary, except to add that it brings this attractive Sonata and disc of discovery to a magnificent conclusion. Russian violinist Sergey Kostylev and his compatriot pianist Olga Solovieva give technically accomplished, totally committed performances of these Slavic rarities. They make a convincing case for this music, leaving the listener wanting to hear the considerable number of Shebalin chamber works that have yet to make their disc debuts. The recordings were made on four occasions between 2010 and 2015 at the Russian State TV & Radio Company's Studio 1 in Moscow. They're generally acceptable and present an appropriately sized sonic image in pleasant surroundings. Mr. Kostylev is centered, and his violin ideally captured for the Suite. The other selections find the artists somewhat recessed to left (violin) and right (piano) of center stage. Accordingly, both of their instruments come off sounding a bit thin. Talk about Russian composers with atypical names, previously we've told you about music by Moscovite, Paul Juon (pronounced "you-one", 1872-1940; see 31 March 2017), and now here’s some from one called Leopold van der Pals (1884-1966), who was born in St. Petersburg, aka Leningrad back in the days of the Soviet Union (1922-1991). Leo had a Dutch father, Danish/English mother and was a wunderkind, who started composing at age twelve. He was first taught by his maternal grandfather, who was director of the renowned Conservatory in that city, and would go on to study in Lausanne, Switzerland (1903-7). He then took up residence in Berlin for the next eight years (1907-15), and established many, important musical contacts. These included compatriots Alexander Scriabin (1872-1915) and Reinhold Glière (1875-1956), both of whom greatly influenced his music. The year 1915 saw Leopold move back to Switzerland, where his career burgeoned. However, in 1922, his wife came down with a severe illness, and for the next eleven years, he and his family were constantly on the move throughout Europe, seeking locations where she could receive proper medical attention. These efforts bought her a little more time, but she finally succumbed in 1934. After that the composer returned to Switzerland, first taking up residence in Ascona, and then Dornach, where he spent the rest of his life. Van der Pels left a large body of works across all genres. These include a substantial number in the orchestral category, four of which from his Berlin years fill out this new, adventurous CPO release. They're the only recordings of them currently available on disc, and those liking the music of his fellow Russian composers mentioned above are in for a real treat. He’d write four symphonies, and the program opens with his First, dating from 1908. In four movements, the initial one marked "Allegro moderato" ("Moderately fast") [T-1] has a peaceful beginning that soon gives way to an itinerant, fateful idea (IF) [00:08]. This undergoes a forceful, brass-bolstered exploration [01:04], which wanes into a related, pastoral tune (IP) for winds and strings [02:47]. IP is the subject of a consummate development [03:11], and then grim IF reminders [05:06] introduce a chromatically searching episode. The latter spirals into a big-tune version of IP [07:21], followed by IF’s dramatic reappearance [08:42], and from that point on, it's a contest between the two ideas. This is highlighted by a delightful, IP-based serenade [10:45] and powerful IF-derived coda [13:21], which brings the movement to a triumphant conclusion à la Glière. Next up, a "Vivace" ("Vivacious") scherzo [T-2] that has IP-derived, scampering outer sections [00:00 & 03:02]. These are wrapped around a passionate, IF-related trio [01:37], which somewhat anticipates the mood of the subsequent "Andante molto" ("Very flowing") [T-3]. This is as billed and has an opening, expansive subject somewhat reminiscent of IF (IE) [00:01]. Then IE undergoes an engaging contemplation [03:14], and returns [05:09], bringing this movement to a tranquil, romantic conclusion. The work ends with an "Allegro molto" ("Very fast") [T-4] that's a captivating sonata-rondo, which begins with an IF-parented, whimsical theme (IW) [00:01]. It’s followed by a lyrical variant of IW (IL) [01:08] that waxes eloquently and gives way to an antsy version of IL (IA) [02:25]. Both ideas then become the subjects of a developmental discourse [03:15]. This is succeeded by the return of IL [05:47] and IA [07:10], which becomes assertive and heralds a magnificent IF-based coda [08:19] that concludes the Symphony exuberantly. Incidentally, there's a thematic interrelatedness throughout the whole work, which recalls Glière and portends Arnold Schoenberg's (1874-1951) concept of "developing variation" (see 28 February 2018). Three symphonic poems dating from 1910-12 fill out this disc, and they have impressionistic overtones, smacking of Scriabin. The earlier ones are nature-oriented works titled Frühling (Spring) and Herbst (Autumn). Both were premiered in Rostock, and other performances soon followed in St. Petersburg as well as New York City. Interestingly enough, the composer headed the scores for the American ones with brief poetic descriptions of his music. These have been worked into the commentary below. Frühling (Spring) [T-5] opens hesitantly [00:01] with harp-ornaments [beginning at 00:12], and suggests a bucolic, early morning scene. Then a gentle, rising harp glissando [01:08] engenders rustling passages with avian calls [beginning at 01:16]. These limn images of a rising sun as well as warm, vernal breezes, and hint at a life-giving, motif (LG) that soon follows [01:34]. Subsequently, LG engenders three vivid episodes, suggesting nature renewing itself [03:03, 04:47 & 07:11]. The middle one is followed by a segment, conjuring images of a nearby, babbling brook [beginning at 06:51]. Then the last seemingly subsides into halcyon, evening breezes [08:39] that end the work in the same spirit it began. Herbst (Autumn) [T-6] brings a change of mood as it opens with an ominous chord [00:01] and melancholy, miasmic motif (MM) [00:11]. Then MM-tainted, withering moments [beginning at 01:35] imply dying flora. But they're succeeded by a more hopeful episode [02:59] with an LG-reminiscent motif presumably suggesting nature’s forces of renewal (LR) [03:02]. Unfortunately, it’s overpowered by MM, and wanes into keening passages [04:38]. However, these become increasingly optimistic with LR-colorations [beginning at 05:35], suggesting the warm, red rays of an autumnal sun breaking through dismal clouds. This augurs the inevitable return of spring, and concludes the work tranquilly. The closing symphonic poem Wieland der Schmied (Wieland the Blacksmith) [T-7] was inspired by German writer Friedrich Lienhard's (1865-1929) eponymous drama (1905) about a German mythological figure by that name. Curiously enough back in 1904, composer Siegmund von Hausegger (1872-1948) had written a tone poem based on the same legend (see 31 August 2017). What's more, van der Pals knew him in Berlin, which makes one wonder if the Hausegger had served as a model for this. Anyway, the underlying story centers around Wieland and his inamorata, who's a beautiful Valkyrie named Alwiß. That said, the work begins broodingly [00:02], calling to mind the "Hate/Resentment" leitmotif in Wagner's (1813-1883) Ring Cycle operas (Der Ring des Nibelungen, 1853-74). This seemingly limns Wieland's yearnings for Alwiß and feelings of powerlessness about securing her affections. It also hints at a succeeding theme, representing his love for her (WA) [03:25]. Then the music turns soothing [03:31] and reflects her being drawn to Wieland by his thoughts. Consequently, she leaves Valhalla, flies down to him, and a romantic segment [04:47] mirrors his experiencing a time of great happiness. But all's not well as she misses her resplendent home in the heavens and suddenly leaves [06:45]. Subsequent, despairing passages [07:02] characterize his grief, and more troubled ones [07:37] depict a combative encounter with King Nihod (aka Nidung), who's in need of a blacksmith’s skills. Wieland is consequently taken prisoner and hamstrung, thereby preventing his escape, while insuring his usefulness to the King. This leads to a despondent episode [08:36] associated with his terrible plight, but it's soon followed by nostalgic ones [09:39, 09:55 & 10:11], reflecting memories of Alwiß. These thoughts make him realize he can fabricate metal wings and fly up to her. Accordingly, the music becomes busy and rhythmically hammering [10:36] as Wieland fashions them. It smacks of the scene in Wagner’s third Ring Cycle opera (1871), where Siegfried forges his sword "Nothung". Next, ascending passages [12:14] seemingly characterize Wieland's flight to join her, after which there's a brief episode ostensibly representing their reunion [12:30]. Then we get a romantic, WA-tinged apotheosis [12:59] indicative of their love for one another, where there are shades of fervid moments in Wagner's Tristan und Isolde (1857-9). It brings this dramatic poem and intriguing CD to a glorious conclusion. German conductor Johannes Goritzki extracts convincing performances from the Helsingborg Symphony Orchestra of these treasurable finds. Together they make a strong case for van der Pals' symphonic music, more recordings of which will hopefully soon follow. Made last year at the Concert Hall (Konserthus) in Helsingborg, some 300 miles south-southwest of Stockholm, the recordings project a wide, somewhat distant sonic image in revealing, pleasantly reverberant surroundings. The orchestral timbre is characterized by effulgent highs, particularly in the upper strings, an acceptable midrange, and clean bass. All in all, the sound is good but falls short of an audiophile rating.